If you didn’t track it, did it even happen? Luckily, you don’t have to be a data wizard to see if video is working for you. The VidGrid platform makes it easy to track important metrics and ensure that you and your team are coming out ahead. 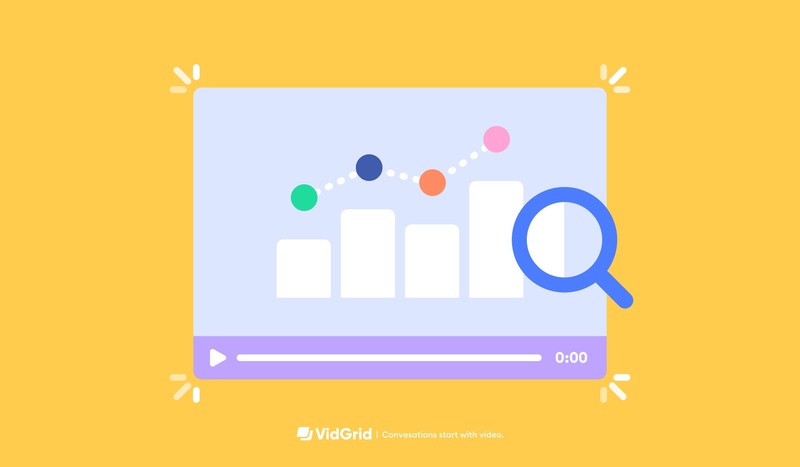 When you use the VidGrid Google Chrome Extension, VidGrid automatically captures the emails of everyone who watches videos you send by email, allowing you to gather analytics for specific viewers. You can track their viewing time, their responses to in-video questions, and the call-to-action they engaged with. What percentage of viewers are watching the entire video? Is there a certain spike where many viewers are dropping off at once? What can you change about this part of the video to make it stickier? For example, here we see that the beginning is not very engaging, so we lose nearly half of our viewers within the first 4 seconds. AB test variations of cadences with and without video to see the effects on your open rates, click-through rate, and reply rates. Track this through the funnel to measure the impact video has on your overall revenue. Each of your video campaigns poses a learning opportunity. Learn from past campaigns before starting new ones. Once you gather which videos and campaigns were the most effective, share this data with your team.